This word cloud is based on our interview with Mark Frauenfelder, co-founder and co-editor of one of our favorite blogs (for a chapter in our book on “How to Create One of the World’s Most Popular Blogs). Frauenfelder’s iconoclastic BoingBoing (whose motto is Brain Candy for Happy Mutants) has been firing out a melange of digital innovation, DIY creations and wacked-out art for a decade and a half. (Already in blog years, several life cycles long.) 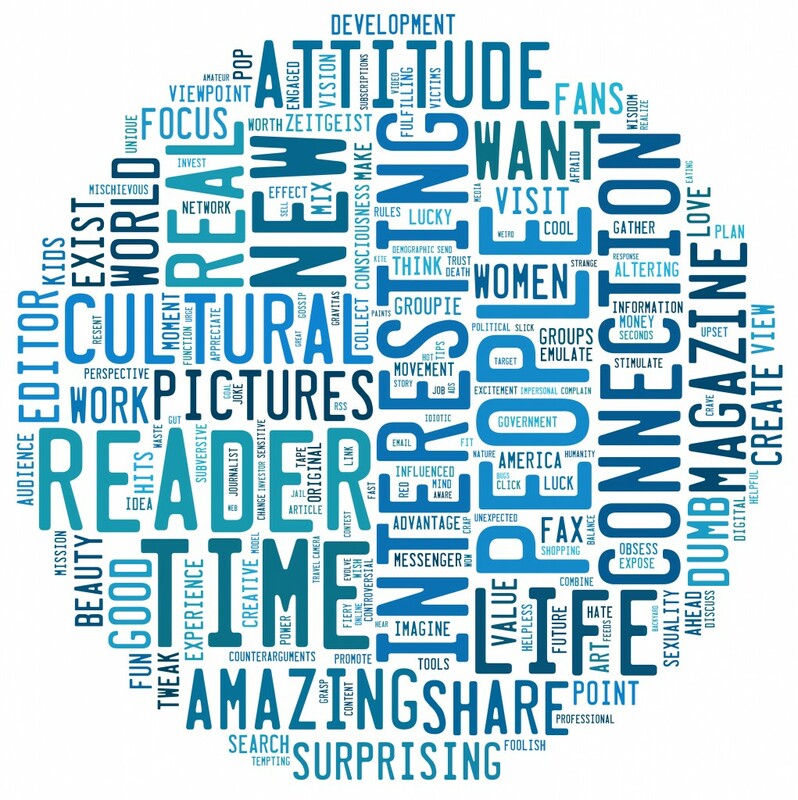 What we see in Frauenfelder’s word cloud is his focus is not on market share, metrics or SEO, but on building a community of people by writing interesting and amazing posts rooted in real life that will connect with the reader. Good advice for any blogger.